Coming to Sorrento during the winter time it is a pleasant period to enjoy much more the town that during this time of the year is very quiet with agreeable weather. 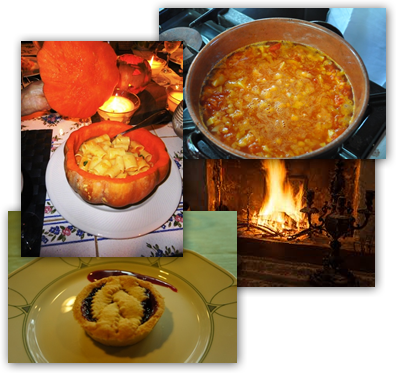 Let your stay perfect taking part to a cooking lesson at Villa Ida with a local family , preparing winter traditional soups and recipes using seasonal products . Followed by a delightful and delicious dinner ,homemade wine by a lovely table near a roaring fire place as frame. You will learn , smile and enjoy a spectacular day in a magical family! !